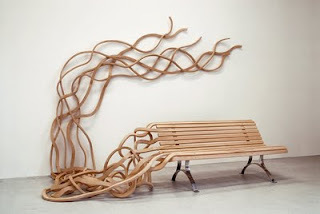 Spaghetti Corten takes its inspiration from the Parisian park bench as Reinoso has twisted the familiar and conjured up a playful, fantastical alter reality. 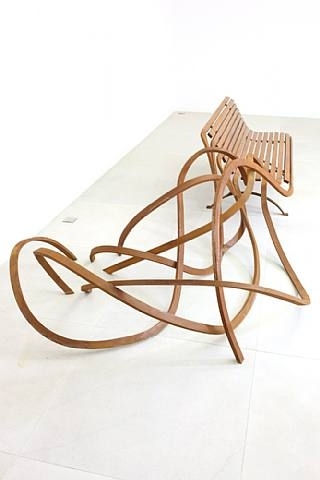 The bench has an inescapable surrealist influence, with a poetic, elegant repose with the empowered seat slats twisting and growing into graceful curves of rusty corten steel. Spaghetti Corten is a conceptual work which also showcases a handcrafted dexterity through its organic form. The teak wood of the seat with its natural patina, works harmoniously with the corten steel. Both materials are protected against natural outdoor weathering.